The Verizon Hub directory is similar to directories that you find online. Its directory section allows you to look up phone numbers of businesses and residents wirelessly, similar to a virtual phone book. In addition, the Verizon Hub directory has a reverse phone lookup. 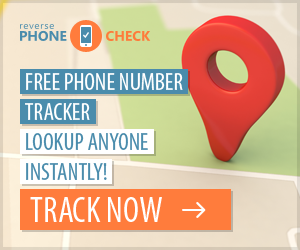 The reverse lookup allows you to enter a phone number and retrieve information about the person or business using the number. 1. Touch the "Communications" icon on your Home screen. This icon has a telephone handset symbol. It is located in the lower left corner of the screen. 2. Tap the "Directories" tab in the menu at the top of the screen. 3. Select "Yellow Pages, " "White Pages" or "Reverse Lookup" on the left side of the screen, depending on the information you need. The yellow pages list businesses, the white pages list residential numbers and the reverse lookup provides information about a telephone number from an incoming call. 4. Touch "Location Name" on the right side of the screen and enter the name of the location to save. When using the yellow pages, all searches are based on a saved location. 5. Tap "Street Address" and enter the street address for the saved location. 6. Fill in the rest of the location information, including city, state and zip code. Tap "Save" at the bottom of the screen. 7. Tap "Done" to open the yellow pages search page. 8. Touch "Business Name or Category, " enter the name of the business and press "Enter." 9. Tap "Search Near" and select your saved location. 10. Touch "Find" at the lower right corner of the screen. A list of businesses based on your location appears on the screen. Tap "Map All" at the bottom of the screen to show a map displaying the search locations. Touch the name of one of the search results to re-draw the map with only the selected search location. Tap "Call" to call the business, "Send to VZ Navigator" to send the location of the business to your Verizon cellphone or "Add to Contacts" to save the business to your Verizon Hub contacts list. Tap "First Name" and enter the first name of the person for whose number you are searching. Fill in the remaining information, including last name, city and state. Touch "Find It" to search for the person. A list of results appears on the right side of the screen. Tap the name of the person for whom you are searching. Touch "Call" to call the person, "Map Location" to see a map of the person's location, "Send to Navigator" to send a map of the person's location to your Verizon cellphone or "Add to Contacts" to add the person's information to your Verizon Hub contacts list. Touch "Phone Number" and enter the phone number you want to search. Enter the area code, but don't use a "1" before the area code. Tap "Find It." If the reverse lookup works, the name of the person or business appears on the right side of the screen. Touch the name of the person to access your options. Tap "Call" to call the person, "Map Location" to see a map of the person's location, "Send to Navigator" to send the map location to your Verizon cellphone or "Add to Contacts" to add the person's information to your contacts list. William Pullman is a freelance writer from New Jersey. He has written for a variety of online and offline media publications, including "The Daily Journal, " "Ocular Surgery News, " "Endocrine Today, " radio, blogs and other various Internet platforms. Pullman holds a Master of Arts degree in Writing from Rowan University.